This page contains information to help finance administrators use ConnectCarolina and InfoPorte to manage budgets. This self-paced course will help you get started with budgets in ConnectCarolina. This student guide and slide deck accompany the Campus Budgets Class. This self-paced course explains what InfoPorte is and how to navigate in it. Chartfield Checker is a tool that lets you check budget for a chartfield string. This guide is a companion document to the Chartfield Structure booklet. This self-paced course explains the difference between the General Ledger, actuals ledgers and the budget-related Commitment Control ledgers. This is the student guide for the Financial Reporting and Reconciliation class. It describes the different types of ledgers and explains fiscal year, accounting period, budget period, and how to find budget balances. It also describes how to use InfoPorte to reconcile. This is the slide deck for the Financial Reporting and Reconciliation class. This guide explains which Fiscal year and Budget Period filters to select to see 2015, 2016, and 2017 budget amounts and balances. This self-paced, two-part course describes how to find transactions such as purchase requests or departmental deposits in InfoPorte. This reference card provides an overview of the budget inquiries available in ConnectCarolina. This self-paced course describes how to find budget balances using InfoPorte and ConnectCarolina. 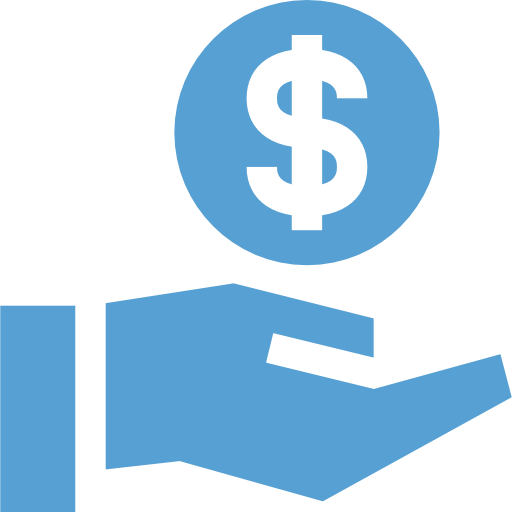 This self-paced course describes how to use the Budgets Overview option in ConnectCarolina to analyze expenses for grants and contracts. This three-part self-paced course describes how to use InfoPorte to reconcile transactions each month. This guide provides an introduction to reconciliation in InfoPorte. This guide describes why budget balances change from day to day. This recorded webinar, accompanying guide, and webinar slides explain the new state monthly management reports. These reports will provide a snapshot to help with reconciling accounts in InfoPorte. This reference card describes reasons why the Commitment Control (“KK”) ledgers may not equal the General Ledger Actuals ledger. This document illustrates when transactions appear in the Commitment Control ledgers and when they appear in the General Ledger Actuals ledgers. This self-paced course describes how to review and approve budget transactions if you are a designated approver for budget transactions. This page on ccinfo.unc.edu lists and gives a brief description of each Finance report. This page on ccinfo.unc.edu lists and gives a brief description of each Finance query in ConnectCarolina. This recorded webinar and accompanying slide deck explain how associated budgets work, when they apply, and how they affect your available balance. This recorded webinar and accompanying slide deck explain the components of F&A budget, the formula allocation, how to run the F&A Formula Allocation Report, and how to look up budget journals on the InfoPorte Transactions tab. This guide explains the components that comprise the amount of F&A budget a department receives each year. For UNC-Chapel Hill: This guide provides a matrix of budget definitions and rulesets by fund type for FY 2018. This reference card lists the sources used for State and F&A budgeting for parent, child, and revenue budgets. This reference card lists common exceptions you may encounter when budget checking and gives suggestions for resolving them. This reference card describes how to fix common budget errors and warnings when working with ePAR forms. This self-paced course explains the University’s chartfield structure. For UNC General Administration: This guide provides a matrix of budget definitions and rulesets by fund type for FY 2018. This guide provides an explanation of Trust sources and how to see balances in InfoPorte for Trusts with associated budgets. This self-paced course explains how to use ConnectCarolina cost codes while working with reports in InfoPorte. This reference card lists account codes for budgeting on State child accounts. An important initiative that will simplify the tracking and controlling of budgets in ConnectCarolina will happen in time for the new fiscal year. This initiative will improve system performance, reduce complexity, and reduce the amount of data the system needs to manage. If you only use the system for making purchases, such as placing ePro orders, you may notice that budget checking runs a little more quickly. If you use ConnectCarolina for more involved transactions and budgeting, you may notice a few more changes. You’ll also notice a new way to choose State, F&A, or Trust when you’re running reports in InfoPorte. Read the memo to learn more. Read about the changes in our news article.